-Lunge and curl: Watch your front knee to make sure it isn’t shooting forward, and as you curl, keep your arms in close to your sides. Use your biceps to lift the weight, not your low back or swinging hips. -Squat jumps or tuck jumps: too much for your knees? Try half-jacks, jogging in place or jump-roping instead. -Shuffle and ball slam: Shuffle to one side 10 times, and then bring the ball up to slam it down 10 times, landing in a low squat. IMPORTANTE: use a heavy ball and test it first- otherwise, it may bite you in the face. And that hurts. -Push-up and ball roll: I have to do this one on my knees, but if you’re wicked strong, go for it on your toes. Make sure to keep your hands out wide, pushup and then roll the ball under your opposite arm, placing that arm on top to switch sides. -For the plank, if that’s too easy, try lifting up one leg. Too much? Go onto your knees, and make sure to keep your booty in line with the rest of your body (no hips in the air). *For all of the kettlebell moves, if you’re new to kettlebells, I recommend using a dumbbell instead to get the feel for it. -Squat with the kettlebell down low and as you come up, swing it in front of you. Be sure to keep your wrists STRAIGHT- if they bend, the kettlebell is too heavy. Only swing the weight up to shoulder height, and for even more of a challenge, try switching hands. -Windmill: If you’re holding the weight in your right hand, your right toes should be facing outward (the other toes are straight ahead). Lower down into a triangle position, and using your core, come back up. Imagine your body as a flat piece of toast about to go into the toaster- keep your shoulders in a straight line and avoid rounding your back. -As always, check with a doc before making any fitness changes. Modify as needed, honor your body and any injuries/considerations you may have. Please leave a comment to let me know how it goes! 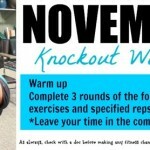 For more ideas on incorporating this workout into your fitness plan, check out the October Workout Calendar. Any workout moves or gym equipment that intimidate you? I used to haaaate the scary cable pulley thing. 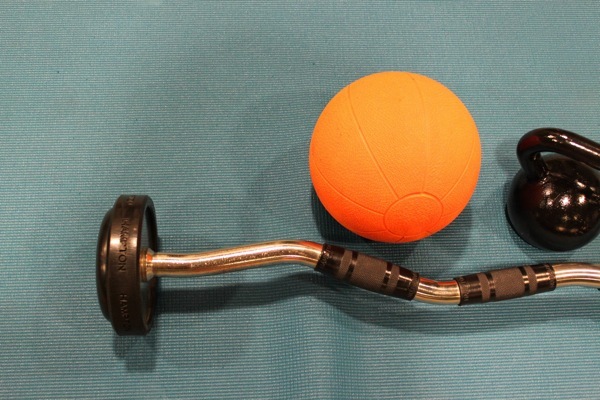 Even your medicine ball is orange and fits with the theme – cute! Can’t wait to try this out tomorrow morning, thanks!! let me know how it goes- have fun! Eeeee I’m so excited to take this to the gym in the morning! So it’s just as effective with just dumbbells? My gym doesn’t have kettlebells 🙁 but I do LOVE them! yeah you can definitely do it with a dumbbell instead! I can’t wait to give this a try tomorrow morning! Thanks for the text-only version, that is really helpful. And thanks for all that you do for us! Did it! I used dumbbells and it was great. I really liked the squat swings. I just did this without the medicine ball! It was good and fast. That looks like an amazing circuit workout. I also have to say that you came up with an awesome name! 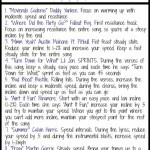 Looks like a great workout idea (and I love the visuals for each exercise too!). Thank you! I’m probably most intimidated by the smith machine. I stay away from it….it looks really intense! It might be kinda spooky, but it also looks like something kinda exciting to do. So, who knows.. i might even try them out. Great! Looking forward to giving this a go today. One suggestion – maybe link to a post on your site for any place the exercises are demonstrated or explained. I am probably in the minority on this because I’m new to it but for example, I don’t know what a windmill is…I mean I have a pretty good idea based on the name 🙂 but I end up Googling or YouTubing it. NBD but I’d rather stay on your site of course! Holy canoli! I’m hurting just LOOKING at this workout. Can’t wait to give it a go! Quick question though, what sequence do you suggest we do this? for example do I do all body bar exercises first and then do all medicine ball exercises and so on or do I do one body bar exercise, next move on to one medicine ball exercises then go to kettle bell and repeat? Please explain, sorry I’m new at this whole body exercises circut! I wasn’t sure what order to do this, either. I started and got all the way to the run before I realized I needed to do more than 1 set of the moves, so I went back and did another set of lunges and squats, then repeated, then I did the k-bell moves at the end. Still a great workout though, very sweaty! 🙂 Thanks Gina! I just did it straight through the way you typed it out, and I actually liked doing that better than a circuit style workout! The time flew by…it was so intense…my muscles are currently shaking…thank you so much Gina! I especially love the ball slam…never done that one before! yeahhhhh! i’m so happy that you enjoyed it- thank you for letting me know! Definitely a sweatfest! Thanks for the great workout. Tried this workout tonight and it was great! Thanks!! 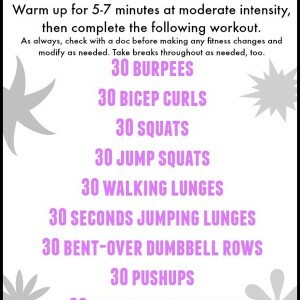 Did this yesterday and today I’m so sore! I don’t know what I did, buy my hamstrings are screaming! Those windmills also got to my obliques. Haven’t done those in a while! 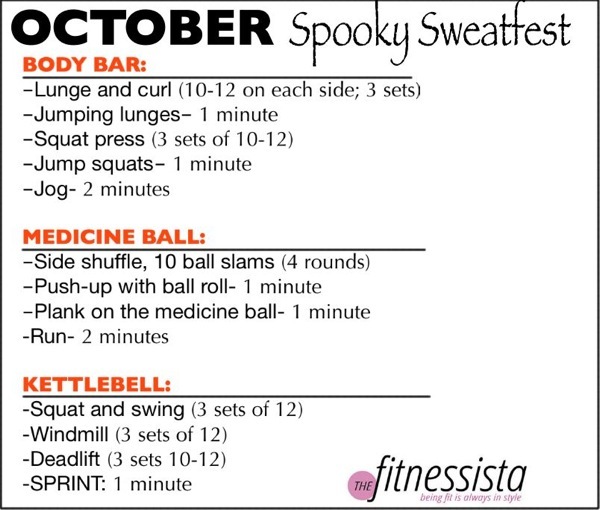 This is definitely a Halloween workout — it is full of tricks! I just finished it and it was so hard, much harder than I had expected from reading it. I loved the use of different equipment and new moves (side shuffle!!) 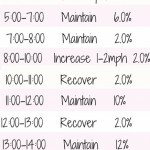 this workout will definitely be added to my workout schedule. Thanks again for all your hardwork! Tried for the first time today and loved it! I didn’t want to go back and forth so instead of the jogs, I did two tabata in between…very fun! Did this workout on Tuesday and my legs are still TRASHED (in a good way!). Haven’t been this sore since my first BodyPump class. Excellent workout and happy to have a new strength training routine! 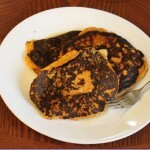 Hi Gina, I recently found your blog and I love it! 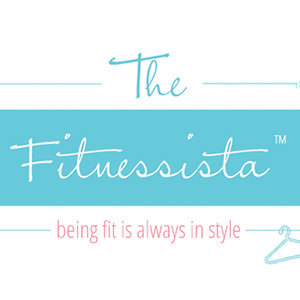 I really like the mix of recipes, workouts and personal updates. I’ve been training seriously for thee months now (a lot of cardio in combination with (heavy) weight lifting and healthy yummy food) and so far I lost 20 pounds (BMI is now just under 23). I just did this workout and I loved it!! It got my legs burning and my energy up! I tried to do this last night, but I’m really confused about the sequence/order. Is it three circuits, e.g. body bar stuff three times through THEN move on, or do you run through all of the exercises once and then go back to do the additional sets of lunges/squat presses? Pulled this one out of the archives (aka the starred blog posts on my phone’s Google Reader) and it kicked my booty again 6 months later. Woah. 6 months. Time is flyin’! hOTober starting off with a bang!! Just finished PBB this week and was so happy to have something new to follow!! Forgot how sweaty this workout was! !